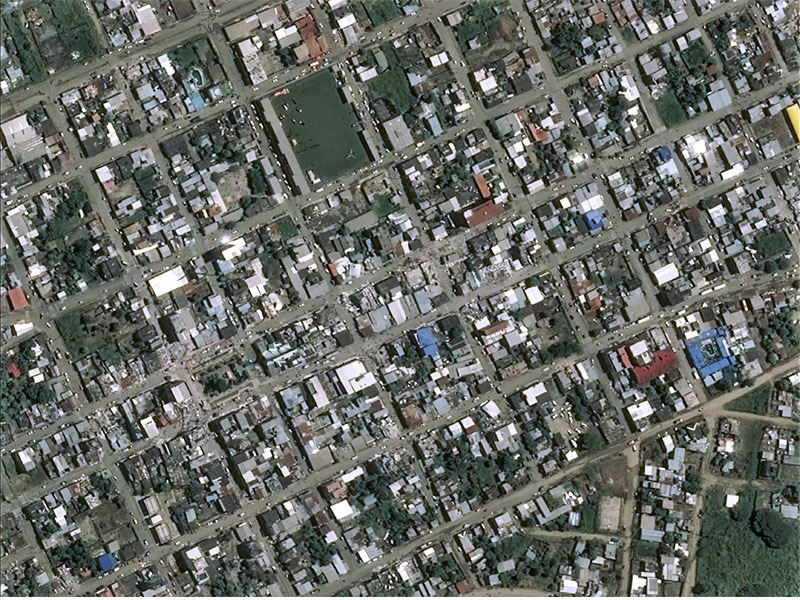 On 16 April 2016, an earthquake measuring a 7.8 magnitude struck Ecuador. 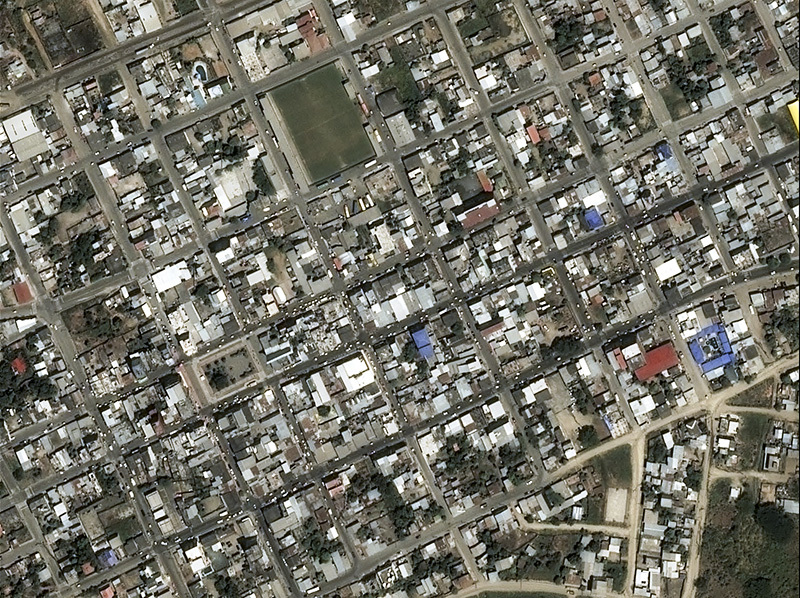 Among other cities, the coastal town of Pedernales, which was in close proximity to the epicentre, was severely impacted, with several houses and buildings destroyed. Following the event’s news, Airbus’ Pléiades satellite constellation was immediately tasked to collect the most up to date information of the situation. The OneNow tasking option, especially designed to answer emergency needs, was urgently activated to acquire Pléiades images of the situation. Only two hours after, at 18:04 pm, the satellite passed over the area of interest, with the image becoming available at 22:13 pm. It took just 4 hours and 9 minutes from image acquisition to the delivery of the fully processed image, providing the customer with visibility of the area on the very same day the order was placed. Using the provided Pléiades’ very high-resolution images, the damage was clearly visible – facilitating detailed insights due to the 50cm products and enabling the planning of an appropriate emergency response.